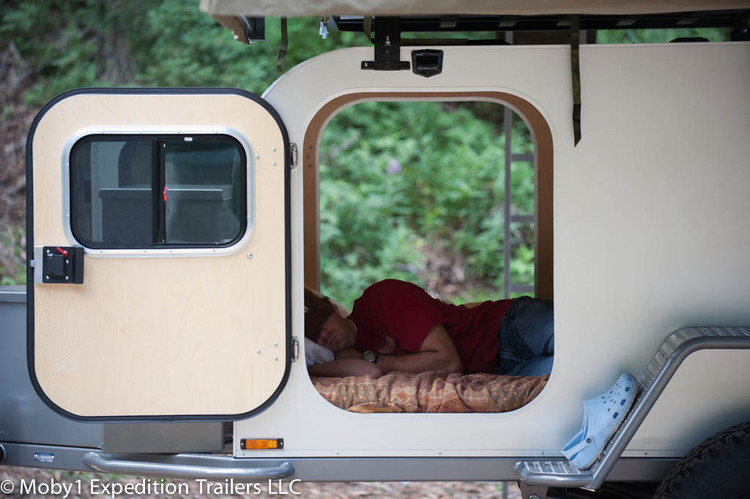 For those who love to get away, travel and explore, while maintaining some level of comfort, Moby1 created the XTR. 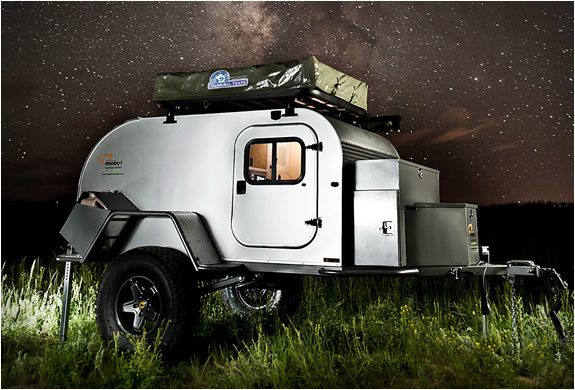 Starting at just $16,500, this hand crafted off-road trailer brings a little piece of civilization to the most remote areas. 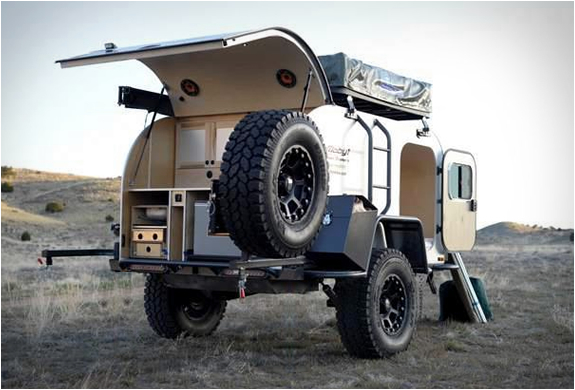 From Moby1 website: "XTR series with trailing A-arm coil spring suspension, 3500lb axles, adjustable shocks, expedition series cabinetry, two locking cabin doors with deadbolt, exo skeletal frame and fender support/protection, receiver tongue. 10” electric brakes with single lever dual action park brake. Equipped with LED tail lights, width and side markers. Standard 54” width & 31 x 10.50 R15 all terrain tires. 1500 lbs base model curb weight dry (54″ model)."